SAVE when booking for 2! 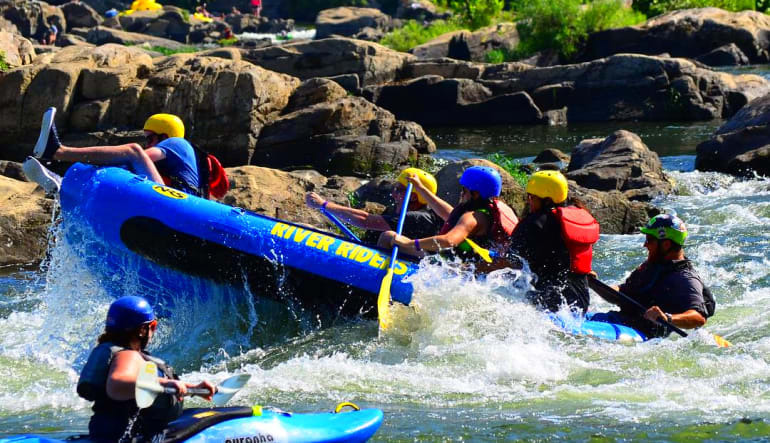 On this 7 mile river excursion, you’ll experience class I-III (I-II+ in lower water) whitewater rapids for beginner to intermediate paddlers. Raft the Shenandoah! 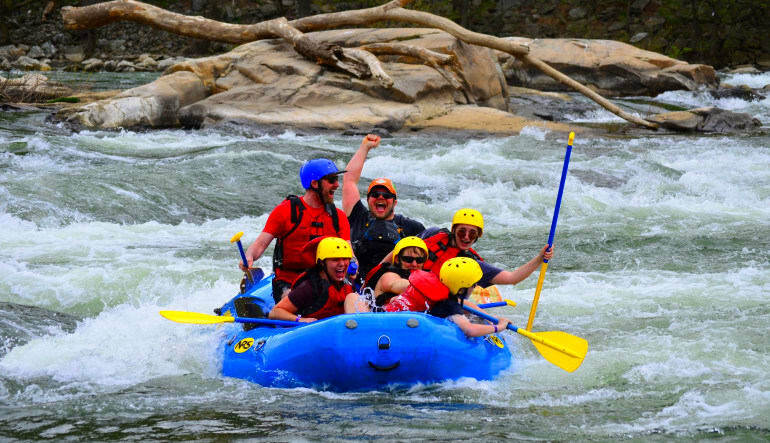 The perfect whitewater rafting experience starts in Harpers Ferry where a guide will navigate you through splashing white water! On this 7 mile river excursion, you’ll experience class I-III (I-II+ in lower water) whitewater rapids for beginner to intermediate paddlers. Not the mention the breathtaking scenery you’ll see along the way! 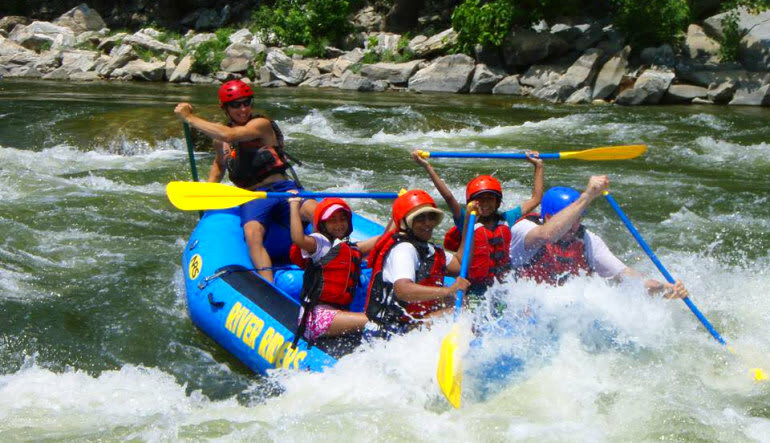 After your rafting adventure, select either the Potomac Play Pass or Aerial Adventure Park to add on to your fun! The Potomac Play Pass allows you to sign up for a variety of our offerings. Enjoy canoe, kayak, or stand up paddle boards. 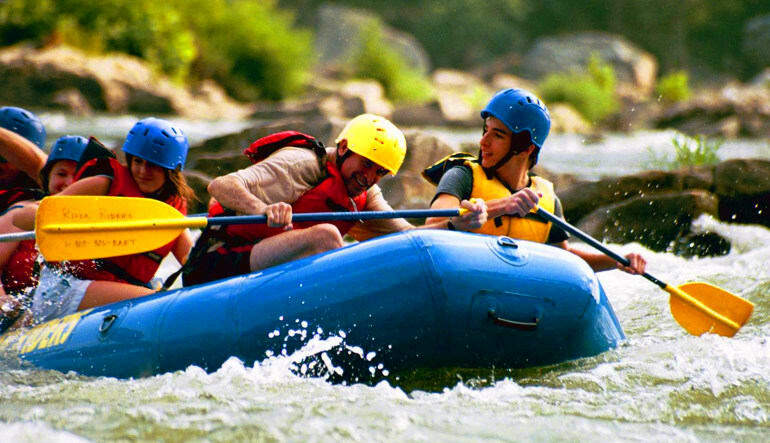 After checking in to the office you’ll be shuttled down to the river and decide which activity you would like to do! If you want more sky-high fun, select the Aerial Adventure Park to challenge yourself to reach new heights. With 9 aerial forest challenge trails, 5 different levels of varying difficulty and 4 wooded acres of space, the Adventure Park provides hours of fun for all ages.